Sometimes the best way to handle a motoring case, particularly cases involving serious penalties such as possible prison sentences, is to plead guilty and work on limiting the penalty you face. If you do plead guilty to the offence, the court has the discretion to make a deduction from any sentence they would have imposed because you pleaded guilty at an early stage. The maximum "credit" you can receive for a guilty plea is a reduction of a third, if you plead guilty at the earliest possible opportunity. You can change a plea of not guilty to one of guilty at any point, even during the trial, however the closer to the trial it is the less credit will be given. In addition, an early guilty plea could make the difference between a custodial sentence and a community order, so in borderline cases the credit on offer should be a serious consideration before deciding on your plea. Another factor to take into account is that when you plead guilty to an offence, this could enable you to draw a line under events you would rather forget and take your punishment. Defending the charges you face may be an option, but bear in mind, your trial could prolong the scenario by several months and in extreme cases, years. 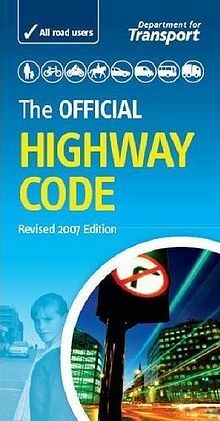 The Highway Code is a set of guidelines about what constitutes “best practice” when it comes to driving. They are not the same as mandatory legislation, and a breach of the Highway Code does not automatically mean that you have committed any motoring offence. Certain breaches of the Highway Code, such as running a red or steady amber light, have specifically been designated as offences. The offence of careless driving, sometimes called driving without due care and attention often involves breaches of the Highway Code as a basis for a prosecution. However being in breach of guidance, such as that relating to lane discipline, does not automatically mean that the driving is careless, although it can be taken into account by the judge or magistrates when making their decision as to whether the driving was careless or not. The handheld devices used at the roadside to measure breath alcohol levels are not currently accurate enough to form the basis of an alcohol related driving charge. As it stands, there are 3 different types of machine which have been approved for use to detect alcohol levels, which are sufficiently accurate to be used in court. These are: The Camic Datamaster, The Lion Intoxilyzer 6000UK and the Intoximeter EC/IR. The quality and reliability of each of these machines varies enormously, and there are different factors which can affect their functionality in different ways. J is for "Miss Justice"
Our Senior and Managing Partner, Jeanette Miller, has campaigned tirelessly to preserve the right to win your costs back if you win your case. Why should you have to pay to defend yourself, only to be out of pocket if the charges are dropped or if you are acquitted? She has already brought one challenge to the legislation, winning the case in the High Court, and is currently mounting a new campaign to make sure that justice is open for all. K is for Kit to fight a motoring ticket by yourself: Created by the Senior partner and owner of Geoffrey Miller Solicitors, self help kit “fight a motoring ticket” contains guidance on the legal process, motoring law and possible defences for those who can’t afford professional representation. The law states that every individual who is under investigation for an offence has the right to free independent legal advice. Whist this is usually satisfactory at the police station, in order to give yourself the best possible chance of securing the result you want, you should instruct a specialist motoring solicitor such as Geoffrey Miller Solicitors who can identify complex legal issues in seconds that general criminal solicitors would miss altogether.